London: The Video Assistant Referee system (VAR) will not be used during the 2018/19 English Premier League season, officials announced on Friday. 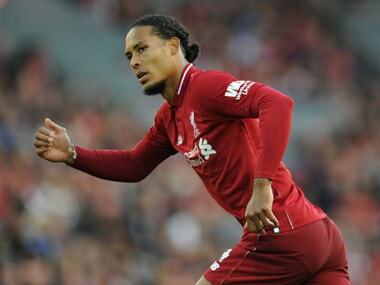 The decision was made at a Premier League shareholders meeting in London on Friday, when all 20 top-flight clubs voted. 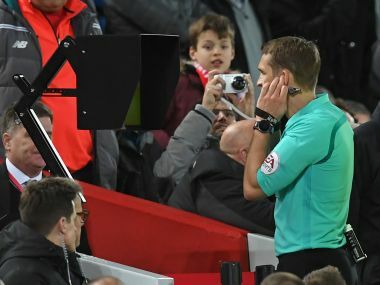 "Premier League clubs have today (Saturday) agreed to continue advanced testing of Video Assistant Referees (VAR) throughout season 2018/19," said a league statement. "The clubs recognised and are grateful for the substantial developments made by PGMOL (Professional Game Match Officials Limited) managing director Mike Riley and his team." One of the major concerns regarding VAR as currently deployed is the length of time it takes to reach a decision. It is also not always obvious to spectators inside the stadium when the match referee is calling upon the system or indeed what exactly is the incident he wants reviewed. It was a point highlighted in the EPL's statement, which said: "The clubs agreed that advanced testing will continue to the end of season 2018/19 to make further improvements to the system, especially around communication inside the stadium and for those following at home and around the world. "The Premier League will also be asking for VAR to be used more extensively in the FA Cup and Carabao (League) Cup in season 2018/19." Another problem flagged up by trials worldwide is the vexed question of when VAR should be called upon to overturn a "clear and obvious" error. 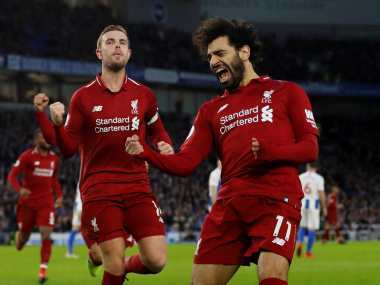 Liverpool manager Jurgen Klopp, who experienced VAR during an FA Cup game with West Bromwich Albion, agreed improvement was needed before VAR could be used in the Premier League. 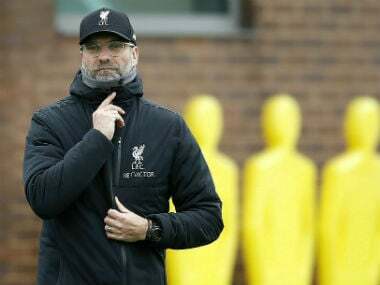 "The only experience I have with VAR is the West Brom game and I really think that was very interesting," said Klopp. "We are all agreed it took a little long for all decisions... It's not perfect in the moment." There was controversy when England were denied a World Cup warm-up win when VAR helped Italy salvage a 1-1 draw at Wembley last month, after German referee Deniz Aytekin overturned his initial decision not to award a spot-kick when substitute Federico Chiesa tumbled under the challenge of James Tarkowski five minutes from time. Lorenzo Insigne scored from the spot and afterwards England manager Gareth Southgate said: "I'm glad it's not the World Cup just yet. I think the ruling is 'clear and obvious' and it's not. It's one you can debate all day... I prefer the referee's decision is final." But FIFA president Gianni Infantino, explaining why VAR will be used at the World Cup, said in March: "What we want is to help and to give the referee the possibility to have extra help when he has to make important decisions, and in a World Cup we make very important decisions. "It cannot be possible that in 2018 everybody, in the stadium or at home, knows in a few seconds if the referee has made a mistake but not the referee himself -- not because he doesn't want to know about it but because we forbid him to know." Germany's Bundesliga will, however, continue to use VAR next season despite World Cup winner Sami Khedira, who plays for Serie A club Juventus, branding it a "disaster" during this season's trials. UEFA, European football's governing body, has still to be convinced, however.